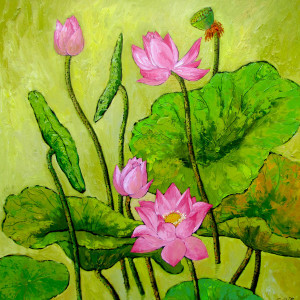 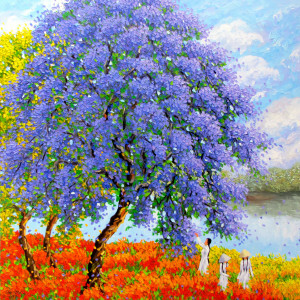 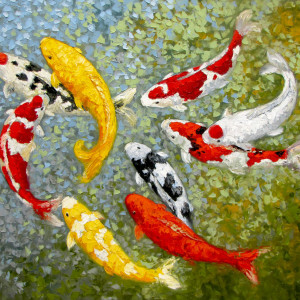 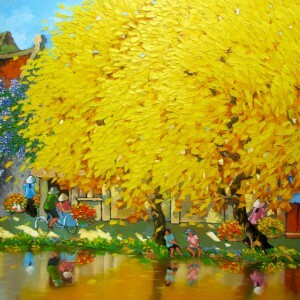 Each place, as a person, has its own character, so, speaking metaphorically, landscape painting is close to portraiture. 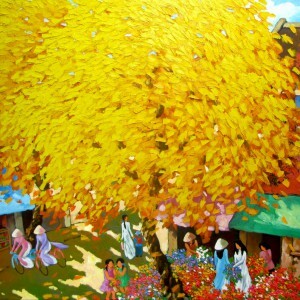 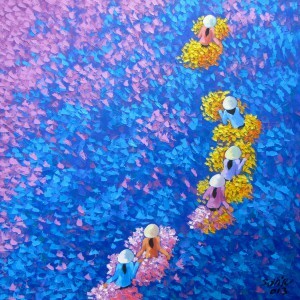 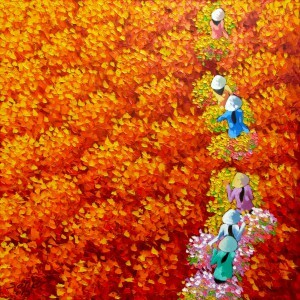 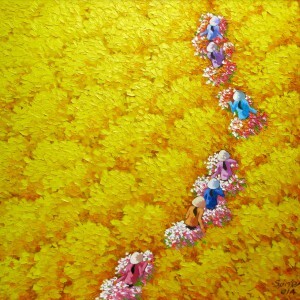 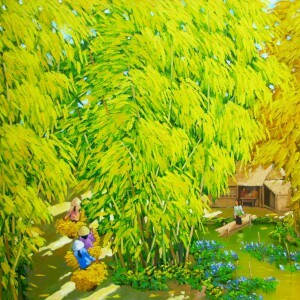 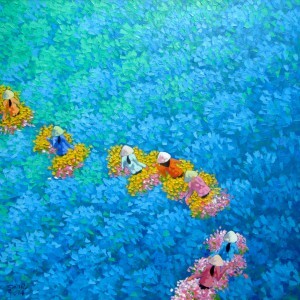 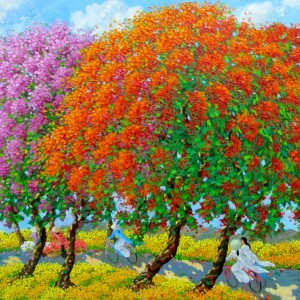 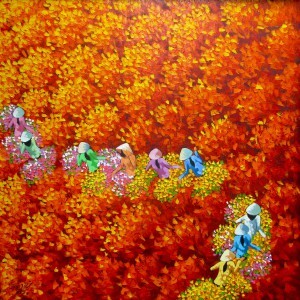 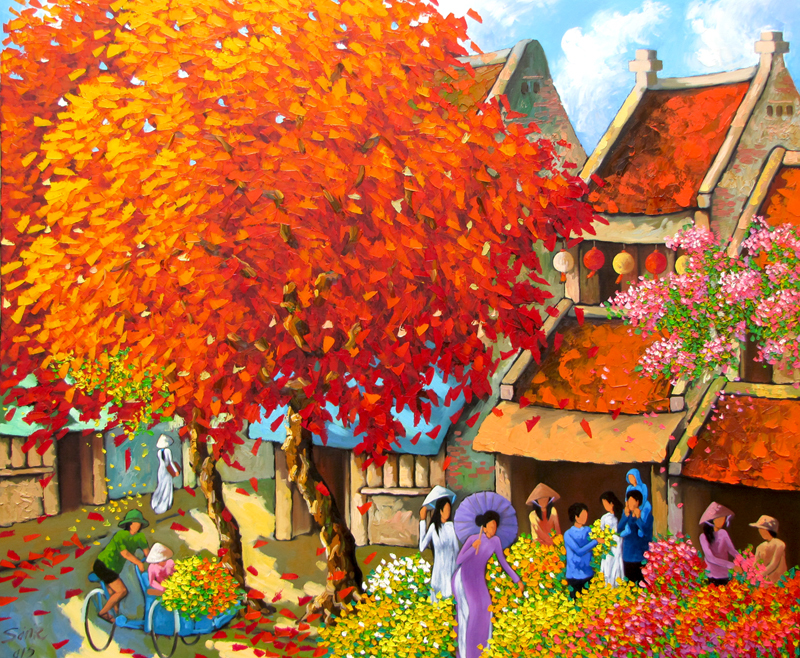 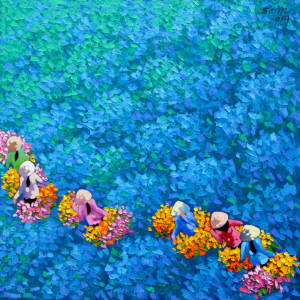 Contemporary Asian artist Do Ngoc Diep draws a portrait of a Vietnamese town. 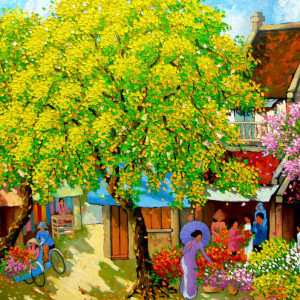 The neat houses with traditional gable roofs almost hidden behind blossoming trees are so welcoming that you almost feel yourself a part of this idyllic scene.